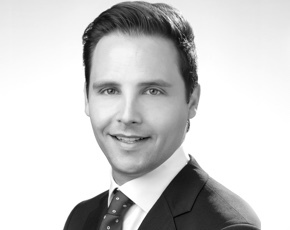 As Chief Operating Officer of Benedict Canyon Equities, Nicholas Matus manages the performance and operations of BCE’s Opportunity Funds and Syndications. He directs investment strategy, oversees business plan implementation and investor relations. Mr. Matus has experience in all facets of real estate investment, including acquisition, disposition, asset management, and portfolio management. Prior to joining BCE, Mr. Matus served as Vice President of Global Assets, Real Estate Americas at J.P. Morgan. He managed a $1.4 billion portfolio of equity and debt investments in residential, retail, and industrial assets on behalf of the company’s real estate funds and separate account clients. He oversaw the management of 6,000 apartment units and 1.3 million square feet of commercial space. Further, he directed $450 million in real estate transactions and $300 million in asset recapitalizations. Mr. Matus earned a Bachelor of the Arts degree in Legal Studies from the University of California, Berkeley, and an MBA from the Cox School of Business at Southern Methodist University, concentrating in finance and real estate. Mr. Matus is a member of the National Multi-housing Council, participates in the Jewish Federation of Greater Los Angeles, and holds a California Brokerage license. Experienced in acquisitions, dispositions, asset management, and portfolio management. Copyright © 2019 Benedict Canyon Equities. All Rights Reserved.